This chart comes with the fish n chip option which triples your contour detail. Using a Map Card or Map Chart Chip as they are often called for your Chart Plotter in my opinion is an absolute must. Its like having a car without air conditioning or a music player if you dont have a Map Card. You have invested your hard earned cash into a Chart Plotter so you might as well go the rest of the way and improve your chances of catching fish. 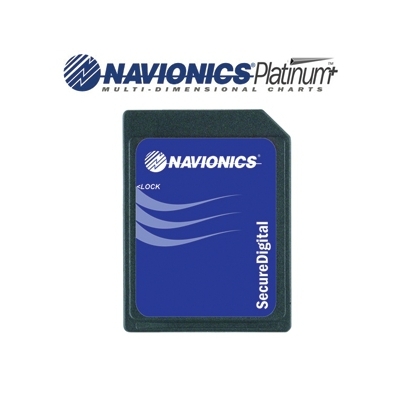 The Navionics cards come in a large SD card with a removable micro SD card. You can also use the Map Cards in your Insight Planner Software to view highly detailed sonar maps on your PC in the comfort of your home. Here is a great example of the level of detail that can be achieved when you switch on your fishing layer or “Fish & Chip” as it is called in the menu. Get Navionics+ marine charts plus 3D View, satellite overlay and panoramic port pictures all in one! Platinum+ provides the most content so you can take full advantage of your chartplotter’s functionality. Dynamic 3D View allows you to customize exaggeration of key features and adjust pitch to highlight subtle depth changes to find fish or better visualize your approach through shallow or narrow channels. 3D technology by Geomind. 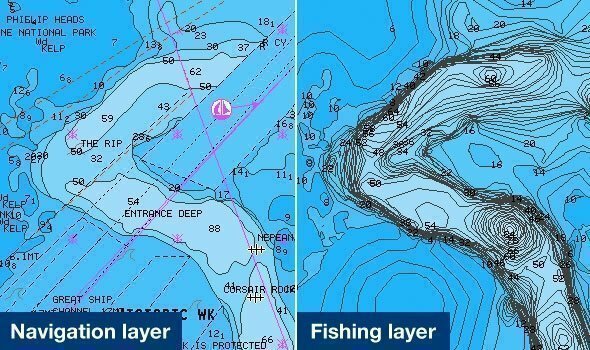 Extremely helpful for improving situational awareness, especially in congested ports and marinas, crisp satellite overlay can also help you find hidden features such as backwater channels that might hold fish. Updated images in many areas are available with new Platinum+ cards for 2016. See video. Head into new ports with the confidence of a local with a clear view of marina entrances, dock layouts, and more. Navionics charts are updated with around 2,000 edits per day. See how simple it is to download the very latest content and free daily updates for one year. You’ll get official chart information supplemented with contributions from fellow boaters in SonarChart™ and Community Edits. Autorouting is available using Navionics charts on compatible plotters from B&G, Lowrance, Simrad and Raymarine in many areas of the world. A convenient, easy-to-use tool. After your subscription expires, you can still get the most up-to-date charts and save 50%. For a full list of compatible plotters check Europe, Middle East, Asia, Africa, Pacific | Americas. Online and on the go! Check out our free WebApp to view 2D Nautical Chart for any part of the world! Zoom in and toggle to view SonarChart. Our Web API tool lets you embed the same charts on any website! You can have Navionics+ charts when you buy our feature-packed Navionics Boating app for our iPhone, iPad or Android device for easy access anywhere at all!